This pictures are currently trending online and the reason is very obvious. 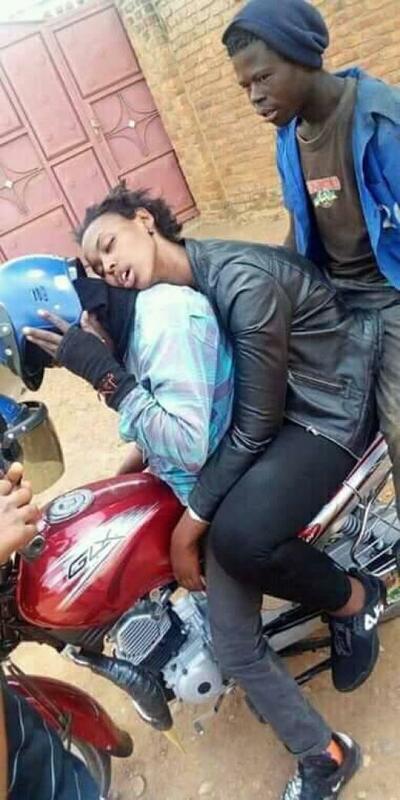 According to online reports, the lady got herself drunk after an outing and fell into a deep sleep before she was taken home by a man (said to be a “good Samaritan”) on a motorcycle. 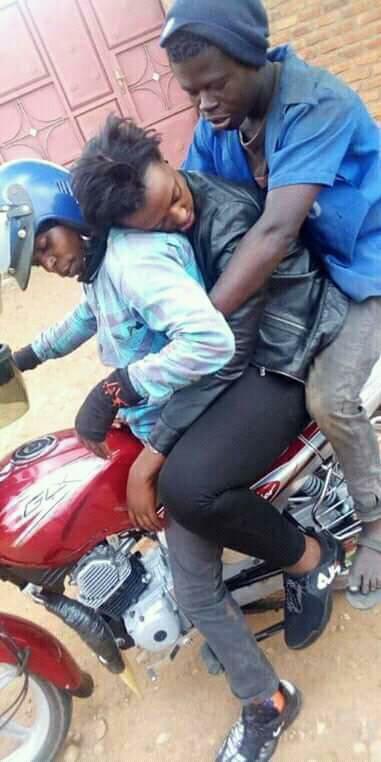 The lady was so drunk that she couldn’t even move or open her eyes as she was literally carried onto the motorcycle before she was taken home. The drunk lady has become a subject of mockery online after the pictures went viral.